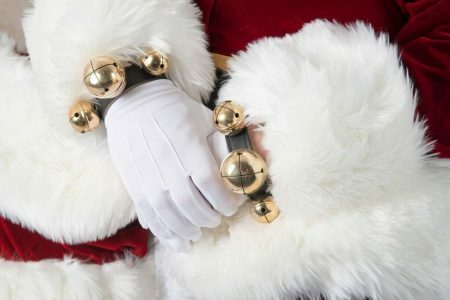 These Professional Santa Wrist bells are made of 12″ x 1″ black leather strap with Solid Brass (SB) bells which are gold in color and will tarnish unless cleaned periodically. However, the patina these solid brass bells take on over the years make the bells even more authentic should you choose not to polish your bells. 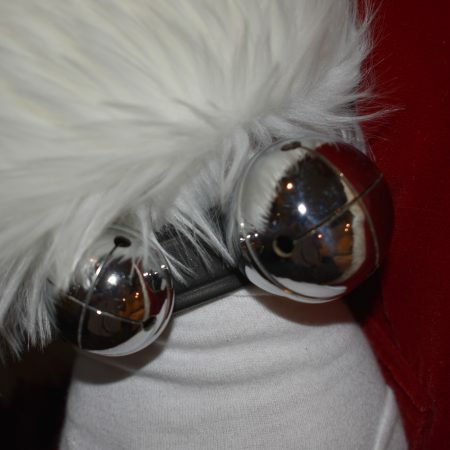 The wrist bells are only sold in a set and also come in chrome brass (CB) which are sliver in color. Each set has three snaps on the leather to accommodate larger or smaller wrists. 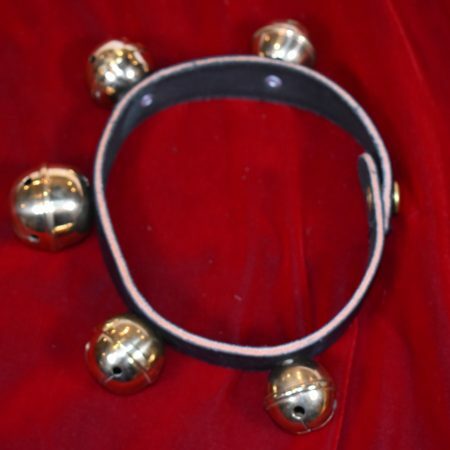 The set together has a total of 6 bells of three sizes offering you a delightful sound that is rich in tonaliy. 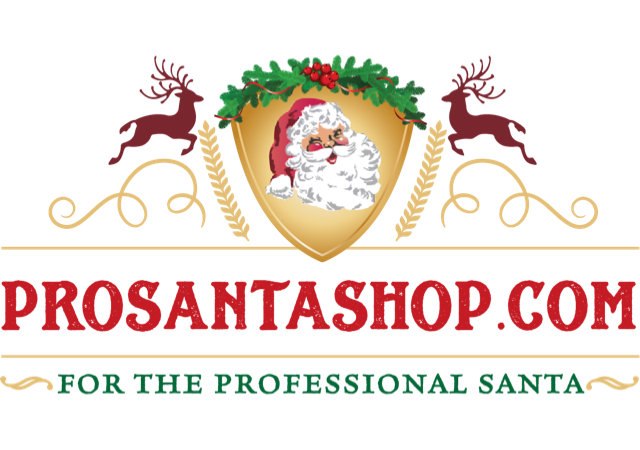 Custom lengths can be made along with other types of leather colors: red, white, and green.